Patchwork hearts is an easy embroidery workshop to show you how to upcycle old denim jeans and fabric scraps. Then you will turn them into a lovely new valentine-themed cushion. 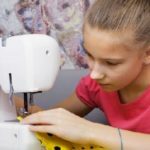 Learn some easy machine embroidery techniques to use up scraps of fabrics. 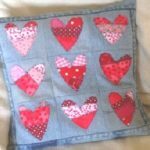 Then turn your embellished panel into hearts and applique them onto the denim patchwork squares. Finally, you’ll learn how to make an envelope cushion. Or you can make a wall-hanging instead. Your patchwork hearts cushion will be completely unique and the envy of your friends. For other recycling projects, why not try Rags to Riches too? Anyone who’d like to use their sewing machine creatively. 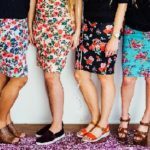 Perhaps you’re bored with dressmaking, or small craft items and are looking for new craft ideas? Love our eyepillows? Make your own! 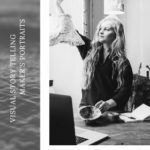 Join Panda Yoga and kitwit studio for an evening of making and yoga. 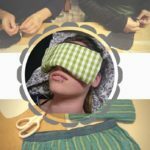 We start with a making workshop in studio G8, where you will fill your own eyepillow with rice and lavender, and sew a cover using fabric from our upcycling stash (unless you want to bring your old jammies or similar clothing-beyond-repair). After a short break, we’ll move up to 6.28 for an hour of yin yoga using your newly made eyepillows.